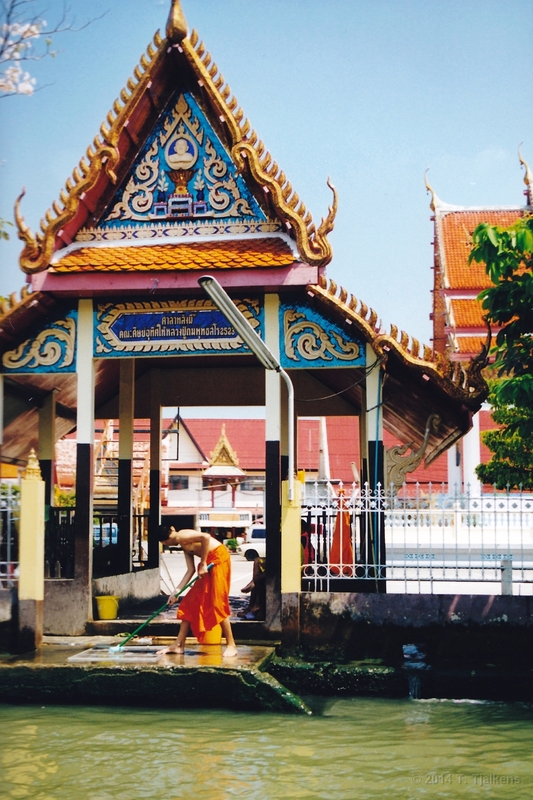 1 Monks at Wat Traimit in Bangkok, the fabulous Temple of the Golden Buddha. 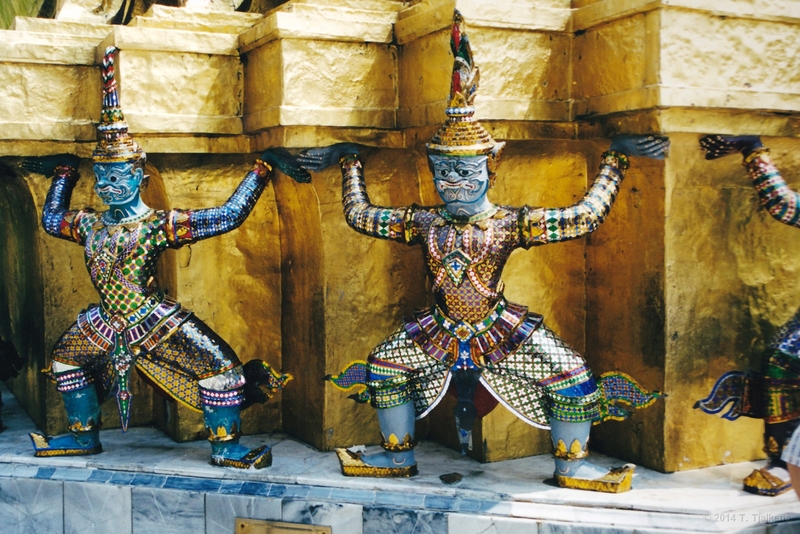 2 Statues in the Royal Palace in Bangkok, the King of Thailand is considerd holy. 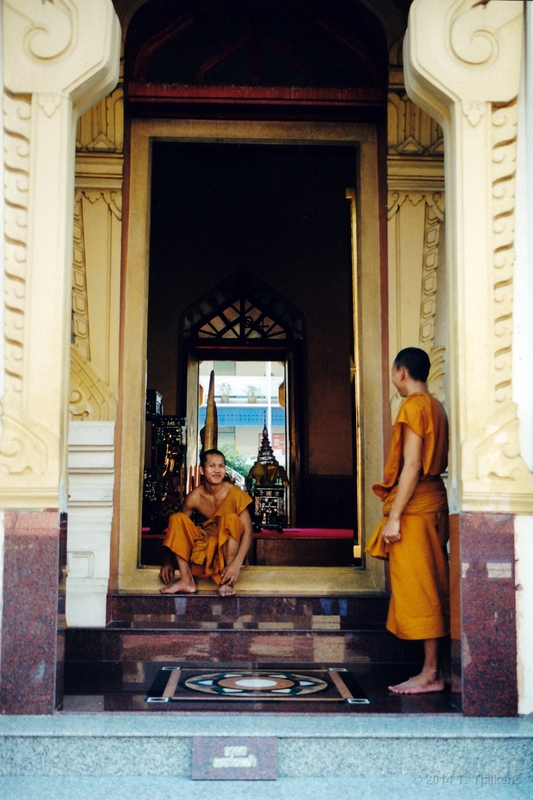 3 Monk in the Khlongs of Bangkok. 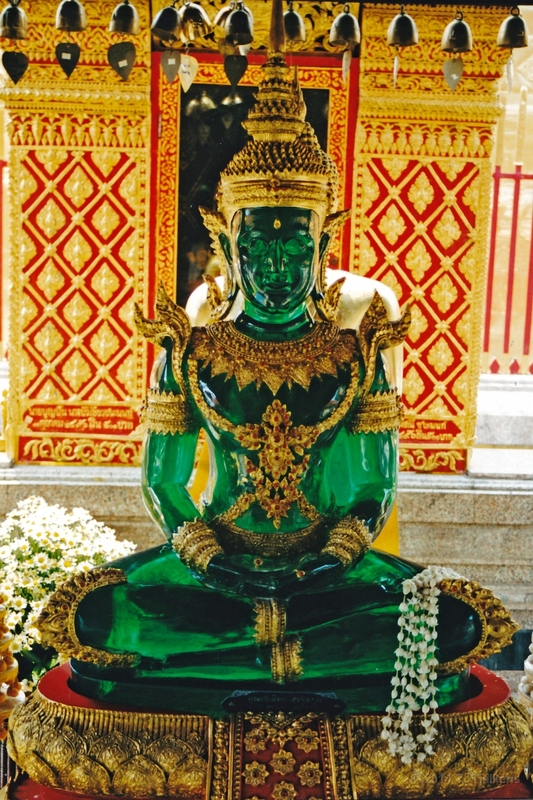 4 The temple Wat Arun in Bangkok. At night, this temple will be illuminated with colourfull spotlights. 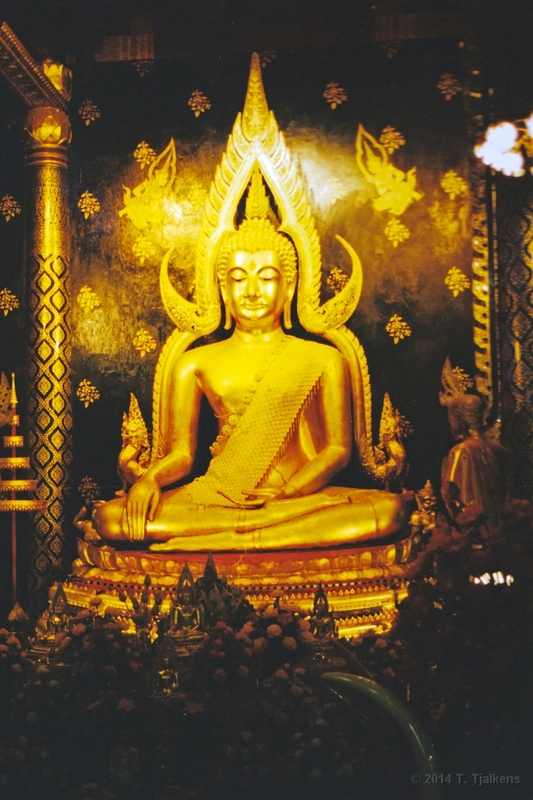 5 Statue of Lord Buddha in Wat Suthat, Bangkok. 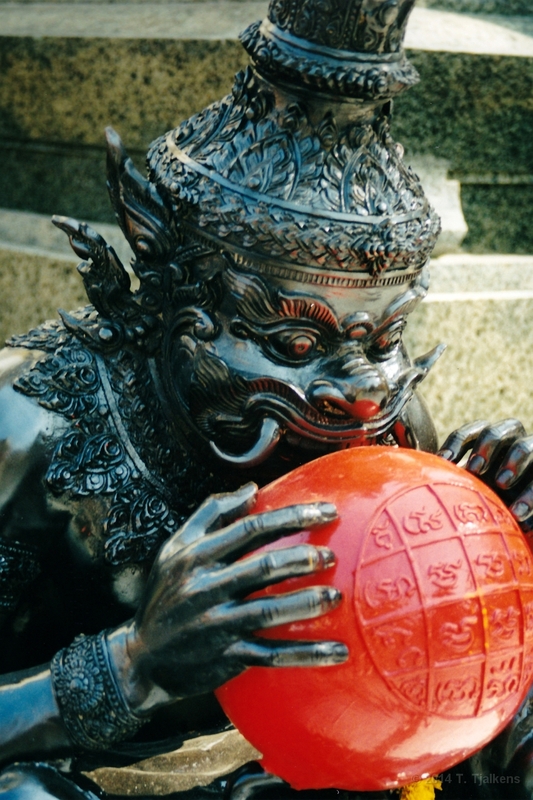 6 Demon statue in Wat Suthat. 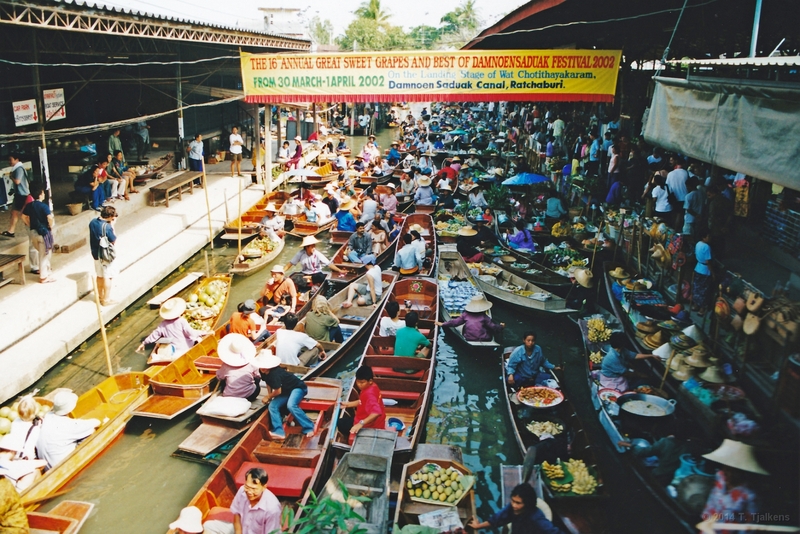 7 On floating market of Ratchaburi people sell everything, from fish to clothes. 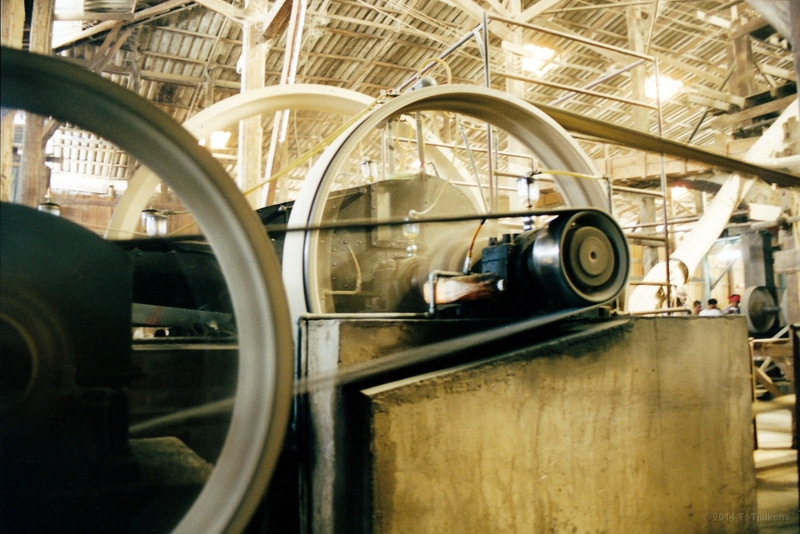 8 An old steammachine in a ricefactory near Ayutthaya. 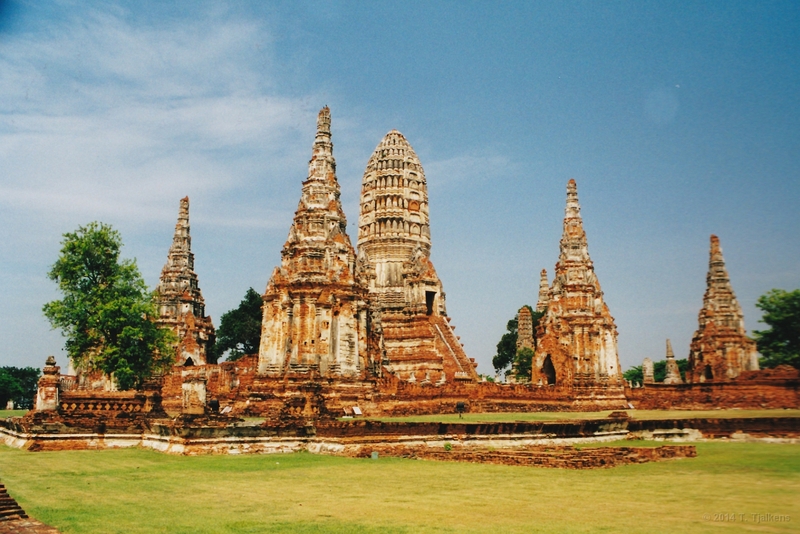 9 Tempels near the ancient city Ayutthaya. 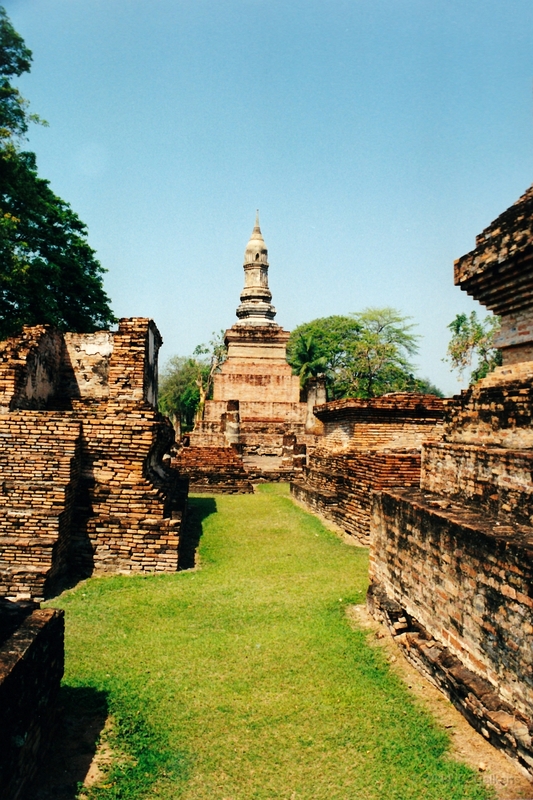 10 The acient city of Sukhothai. 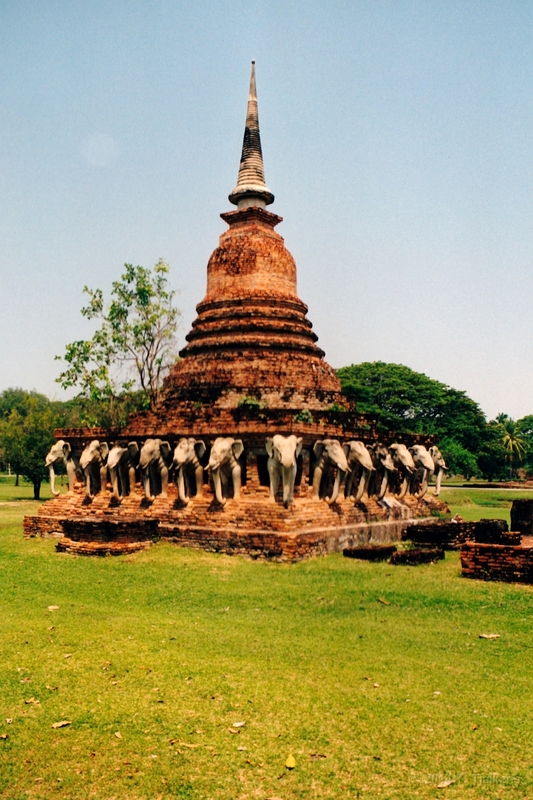 11 Just outside Sukhothai there stands this very nice elephant temple. 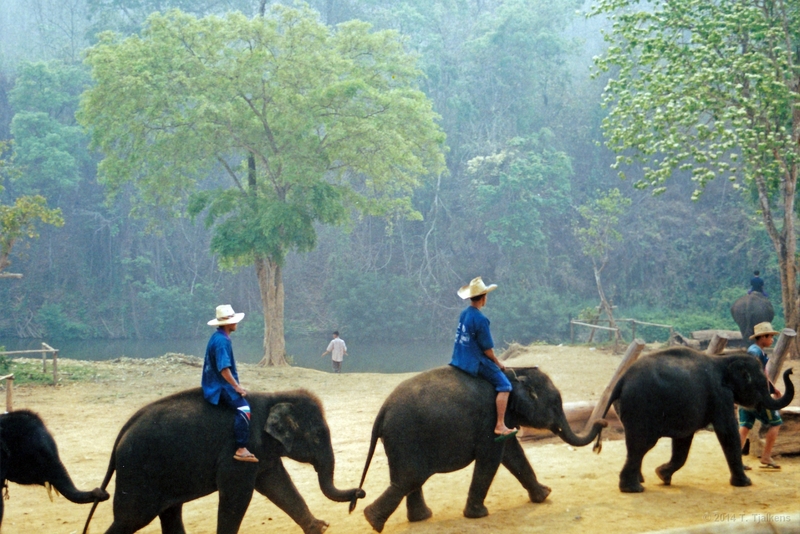 12 In the Mae Taman elephantcamp you can take a ride on an elephant. They also have a nice show with elephants. 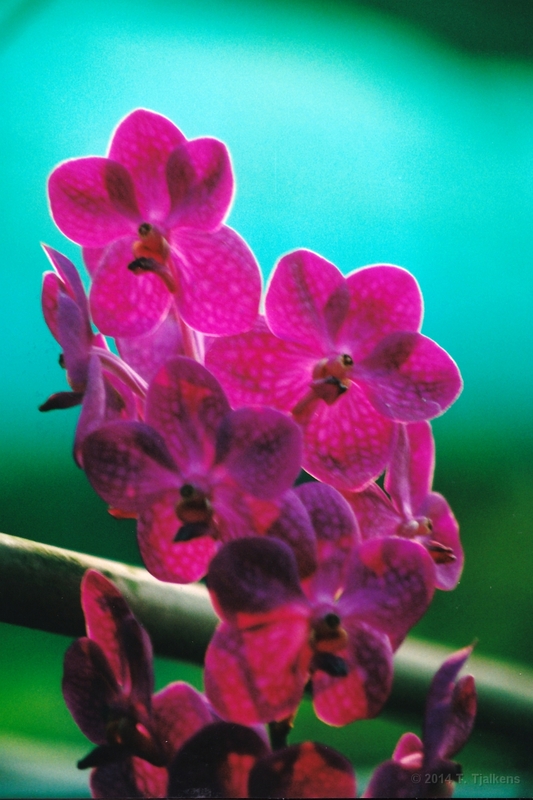 13 Orchid near Chiang Mai. 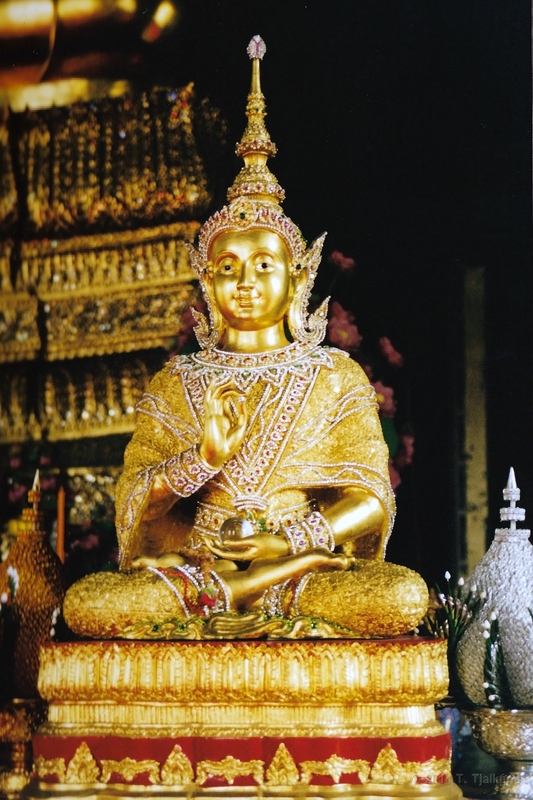 14 Statue of Lord Buddha at the Wat Prathat Doi Suthep temple near Chiang Mai. 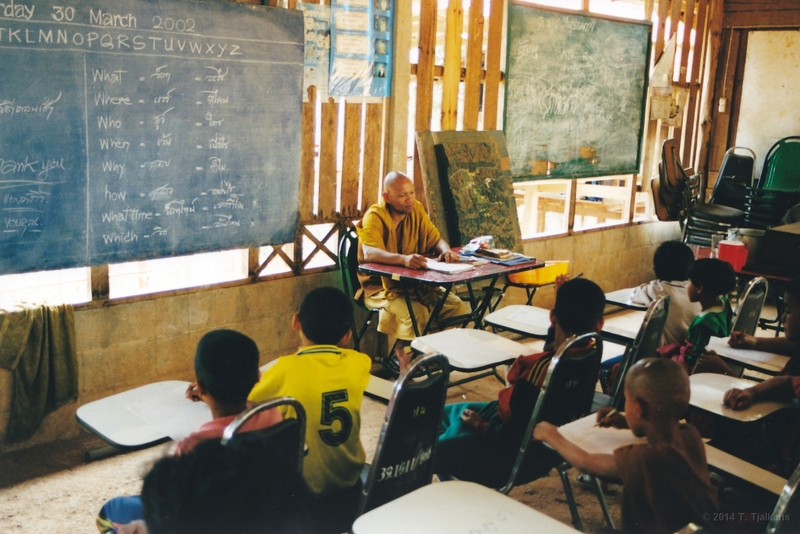 15 A school in a Karen-village near Pai with a Buddhist monk as teacher. 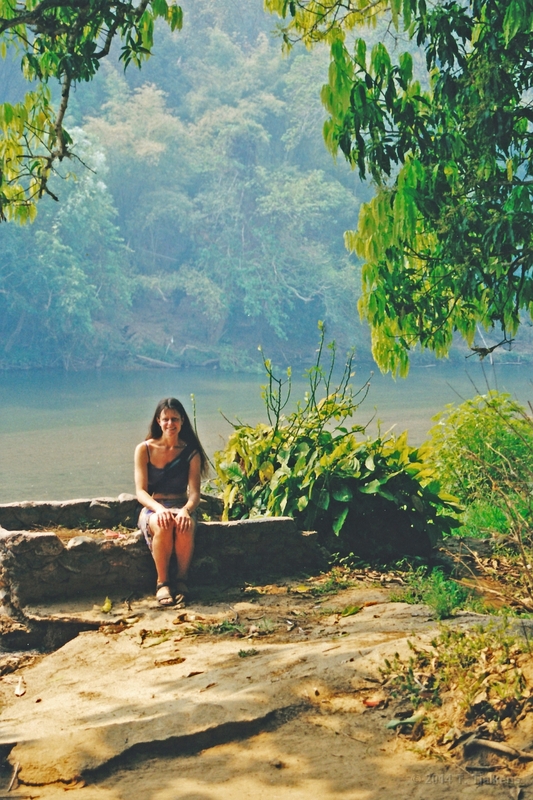 16 Marjolein in the jungle near Pai. 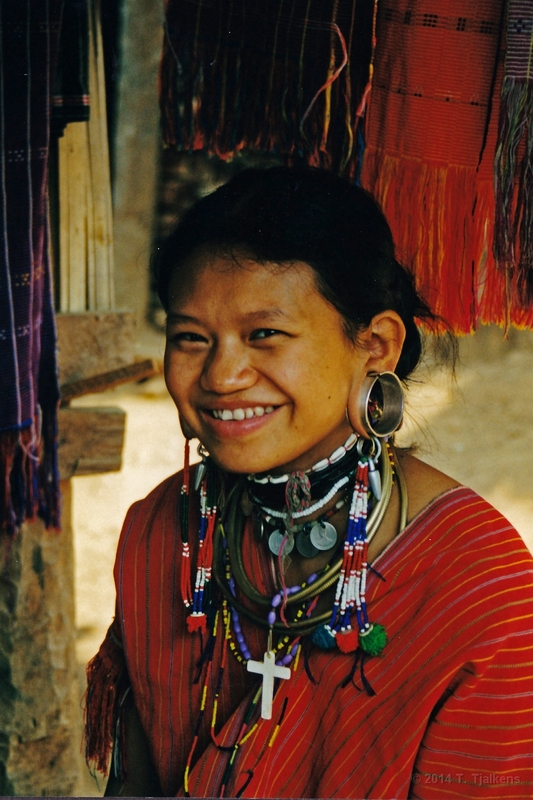 17 Longneck woman with earrings in a Karen village near Pai. 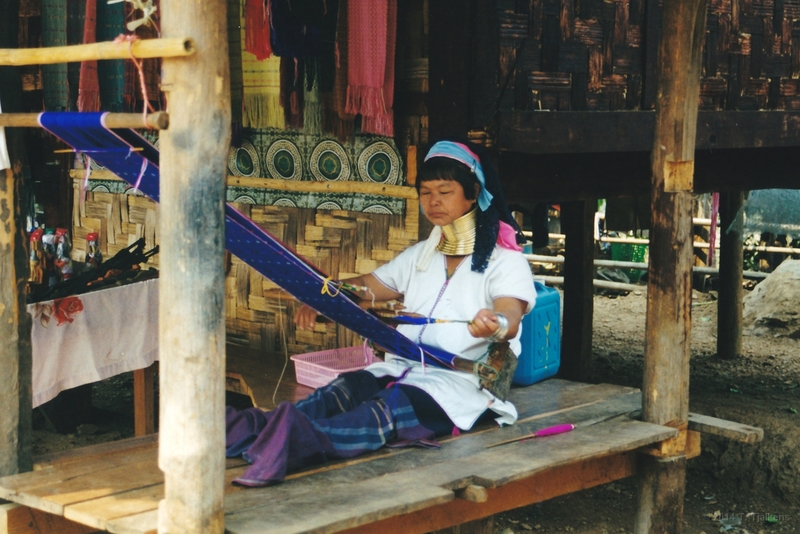 18 Longneck weaver in the same Karen village. 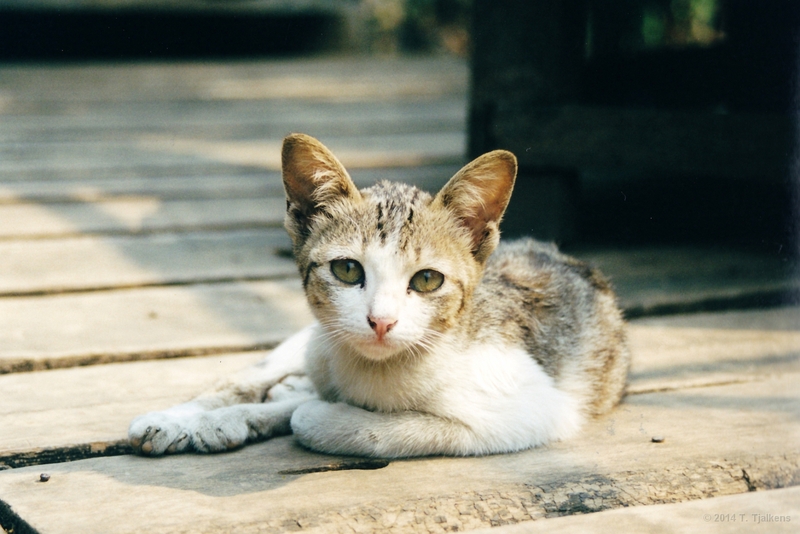 19 Little cat in the Karen village. 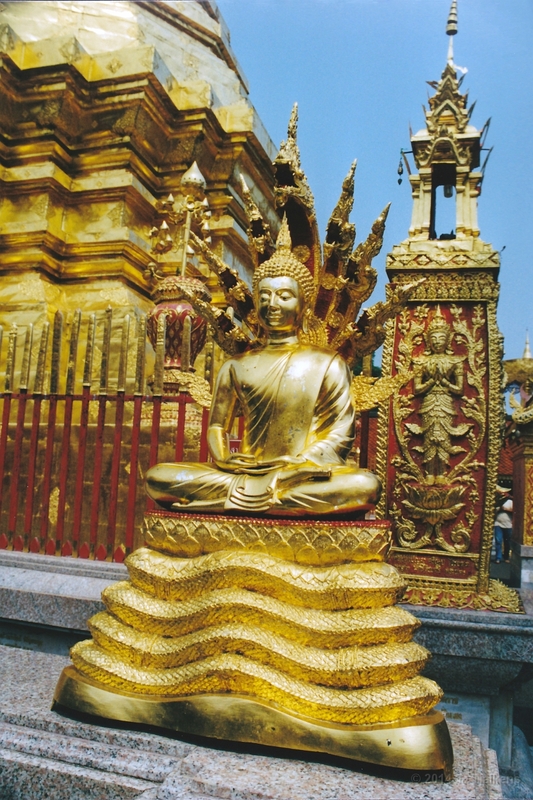 20 Beautifull statue of Lord Buddha in Wat Phra. 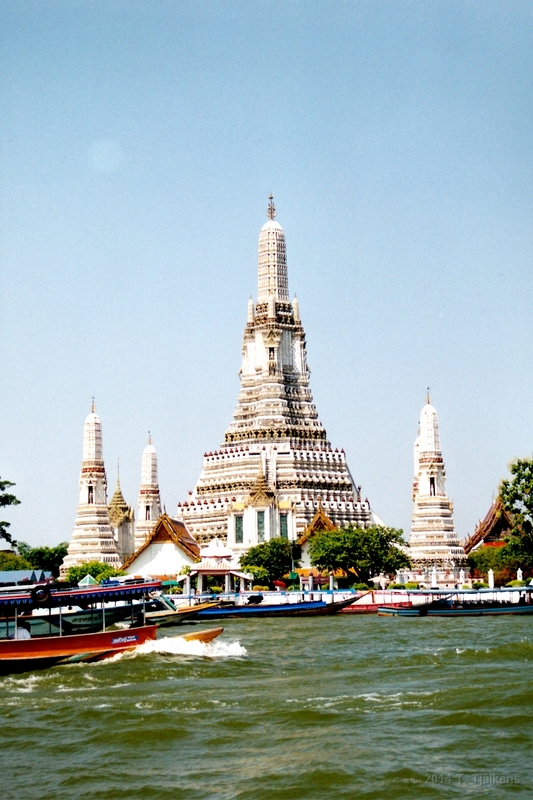 Bangkok.